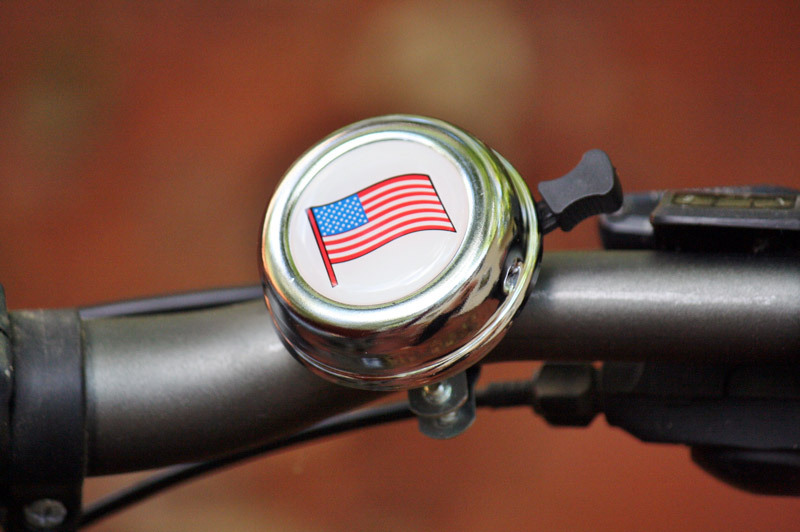 Make yourself heard and show your patriotism with this American flag bike bell! This bicycle bell has a nice, pleasant ring that is easy to push while steering your bike. It's great as a gift for kids, giving them a bit of protection when on the road. Bike bell fits any standard bike handlebars.